Pregnancy massage is available from 12 weeks onwards ~ right up until birth. Pregnancy is a great joy….. but it is also a massive strain on a woman’s entire body: a true emotional and physical roller coaster! The power of regular pregnancy massage throughout the child-bearing process can ease so many of the symptoms experienced during pregnancy; providing relief from aches and pains and everyday stresses, therefore improving the quality of the pregnancy experience. Massage can increase the health of both the mother and child and in some cases make the birth process easier. Pregnancy massage improves the circulatory system; which promotes foetal health. It also increases the levels of feel-good hormones (endorphins) within the body – which is great for mum and baby! As a certified and highly qualified massage therapist; holding an FHT Diploma in Pregnancy Massage, I understand the effects pregnancy has on a woman’s body. I can help her throughout her journey through pregnancy; working safely on her comfortably positioned body to alleviate aches and pains and promote relaxation using an exquisite combination of Swedish massage and Shiatsu techniques. As we progress through to the end of her pregnancy we can include her birthing partner within our sessions; showing them how they can support her through the birthing process by using massage and her breathing techniques. Relieves aches, pains, and stresses in pregnancy. Increases the level of “feel-good” hormones. Improves flexibility and range of movement. Helps relieve low back, hip and pelvic pain. Helps relieve neck and shoulder pain. Helps reduce high blood pressure. 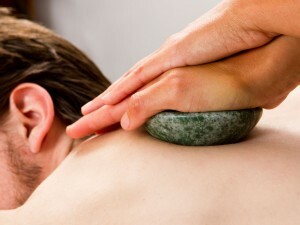 Relieves Sciatica and Carpal Tunnel Syndrome. I've suffered for a number of years with lower back, neck and shoulder pain taking stronger pain killers over time. A work colleague recommended Sally and the remedial massage she offers. I couldn't believe how much pain had been relieved after the first treatment on my lower back. I could bend and pick goods off the bottom shelf of a supermarket, something I struggled with a week before. Three sessions on my neck and shoulder followed, relieving so much pain from that area - I can actually look over my right shoulder without moving my whole upper body. A second session on my lower back has left me in such a good place now, far less pain and a good understanding of why the pain occurred i.e. bad posture. I'm recommending Sally to friends and family with muscle pain similar to mine. The whole experience is so friendly, relaxing, the scent, the music and the heated massage table. Pain killers no longer required. I spend a lot of time in the gym and often my muscles feel wayyyy too tight. I could never find anyone to massage me deeply enough. That changed when I met Sally, she really knows how to make a grown man cry!! She works so deeply, it gets rid of all the aches & pains that really bug me. Afterwards I'm always freer and I can move again without hurting. I see Sally whenever I need help. I do recommend her to my friends. After suffering with facial pain and sinus problems for more than two years I decided to try massage for stress relief. I can honestly say that after only two treatments from Sally my symptoms have started to ease and my energy levels have increased. Sally offers a comfortable and professional service and I would highly recommend the remedial facial and neck massage. A fantastic experience from online booking through to the after service. Not only do you get one of the most robust, targeted and non-hurried massages going (I have the remedial sessions), but there's lots of science stuff to go with it. So when you have an ache, you don't just get a knot worked on, you get a proper explanation of what's going on with your posture to create it in the first place, a look at an iPad app with photos of posture and detailed background, then a massage focussed on that issue, as well as some exercises emailed home afterwards so that you try and fix what the issue was over the long term. Plus the room itself is really lovely, modern and relaxing, and Sally is a very welcoming, skilled practitioner. Can't think why you'd want to get a massage anywhere else!